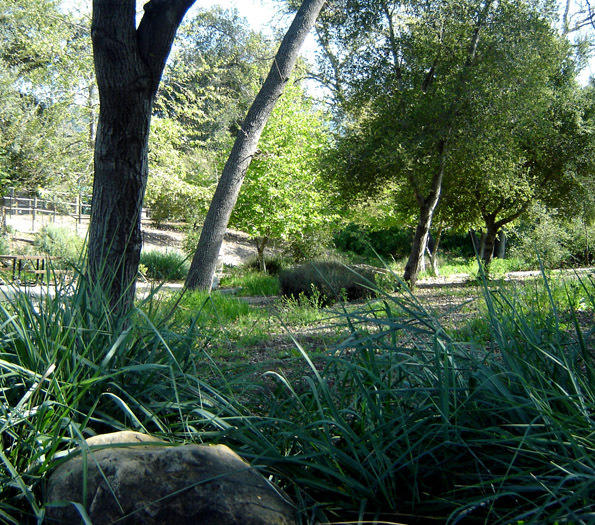 The city of Ojai wanted to turn this 1 acre parcel (adjacent to the 24 acre city park) into a parking lot. Thanks to the lobbying efforts of the Widow of the 1st ever Mayor of Ojai, it was turned into a green extension of the park instead. Located in the heart of downtown Ojai with easy access from the street, surrounding shops and restaurants, we were asked to turn this neglected lot into an inspiring place where flora and fauna flourish and local residents and tourists could relax and enjoy the day. We were asked to include a picnic area that could easily accommodate two groups at any one time. Carefully arranged boulders and large rocks naturalistically define the space and allow for tiny tikes to safely climb and explore. And the new sycamores and oak trees provide shade on sun-drenched days. In the shadow of the Historic Post Office Bell Tower (now pleasingly framed as a focal as it is softened by trees and plants without the unsightly cars and asphalt), this one acre addition to the main park helps accommodate the overflow of people who come into town during the Shakespeare festival, tennis tournament, and other park events throughout the year. 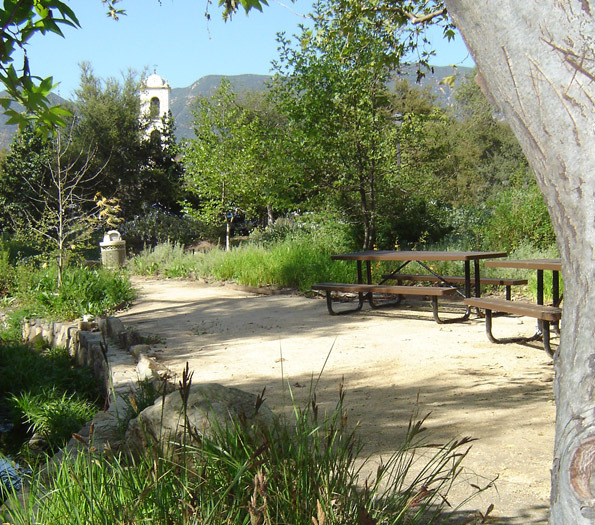 Another great "green" space to relax and enjoy in Ojai. Bog plants in creek to clean the water during rain season, and allow water to percolate deeper. In the dry season, these plants are still attractive and continue to thrive.